Vini e Capricci is a newstore offering a wide and exclusive selection of gourmet food, award winning wines & spirits to delight even the choosiest connoisseur. 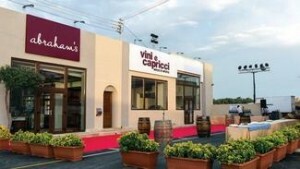 Vini e Capricci is the perfect wine and retail experience. Every food item, ingredients and wines have been carefully chosen by experts who appreciate all the hard work that goes into creating all these wonderful delicacies. 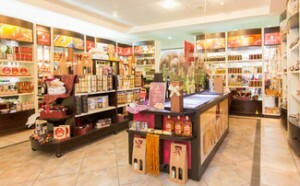 Vini e Capricci is all about artisanal and gourmet food. How to get there: It is only a 7-minute walk or 3 minutes by car from the boutique hotel. The Savina Creativity Centre is definitely a feast of all senses. Savina Creativity Centre is actually one part of the Magro Food Village. You can choose to experiment the whole shebang, which includes a tour of the tomato processing plant, the dairy and cheese making centre and the artisan workshops, as well as watch traditional crafts being made, listen to lectures being given on the nutritional values of Maltese cooking, att end hands- on cooking lessons with professional chefs and sample examples of locally-produced wines. Savina uses recipes passed down from generation to generation in the Magro family, from qaghaq ta’ l-Ghasel (honey rings) to sundried tomatoes, from carob syrup to pate, from infused vinegar to various kinds of chutney, and from home-made pasta sauces to honey infused with orange or lemon. The centre is open from Monday till Friday from 9am till 3.30pm and Saturday from 9am till 1.00pm (Public Holidays Closed). It is only a 10 minute walk away from the Boutique Hotel. Furthermore, Bus 301 also stops near the food village.